Vinyl is a nickname for polyvinyl chloride, commonly referred to as PVC. Vinyl is combined with pigments and other materials that change its color, flexibility, and durability. Vinyl flooring is manufactured in tiles/planks, or in long rolls of vinyl sheets. 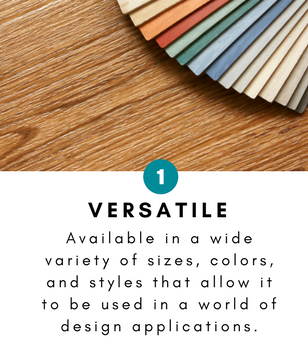 You may hear the term a lot, luxury vinyl (LVT), used interchangeably with vinyl, but there is a major difference. Luxury vinyl tile (LVT) is a relatively new flooring product that uses a high concentration of vinyl that contains a high-quality image layer and textured surface that accurately replicates the appearance and feel of hardwood, ceramic, and more. 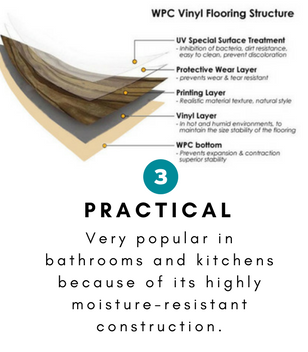 There are also many other benefits that vinyl flooring can offer for your home! Are you interested in installing vinyl flooring in your home? Come by our showroom in Lakewood, CO to speak with one of our experts. Portice Carpet One serves the Denver Metro Area! 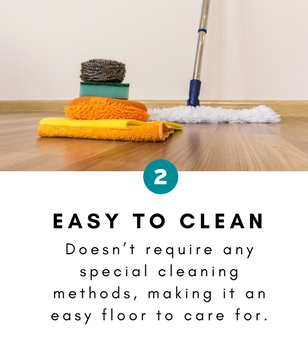 If you're looking for a great deal on flooring, then look no further than Portice Carpet One! We have a wide selection of vinyl flooring options and a full staff of flooring experts ready to help you! Beauflor will be replacing our previous inventory of Invincible IVC. Stop by our showroom for special pricing options! We carry both plank and tile style WPC vinyl. We carry Carpet One exclusive Invincible luxury vinyl flooring. NovaCore rigid core luxury vinyl is available!